Our FREE nationwide service finds you the best value kitchens. We’ll recommend local showrooms whose kitchens cost similar to places like Howdens, Wickes & Wren, but are higher quality & will last much longer. This also applies when the chain store units are in the sale. We’ll recommend local showrooms whose Designer German kitchens also cost similar to places like Howdens, Wickes & Wren. Again, this also applies when the chain store units are in the sale. Whether you buy your kitchen on a supply only or fully fitted basis, you’ll also benefit from the superior design service kitchen showrooms offer. 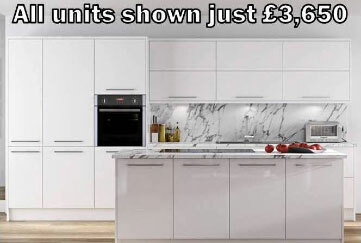 Plus, because their average fitting price is only £1,300, you can afford to have your kitchen fitted properly by expert kitchen fitters rather than builders. All showrooms offer FREE no-obligation quotes & are within half-an-hour’s drive. Some of the showrooms even offer 0% finance. Just tell us the style of kitchen cupboards you like and an idea of your budget for the units. 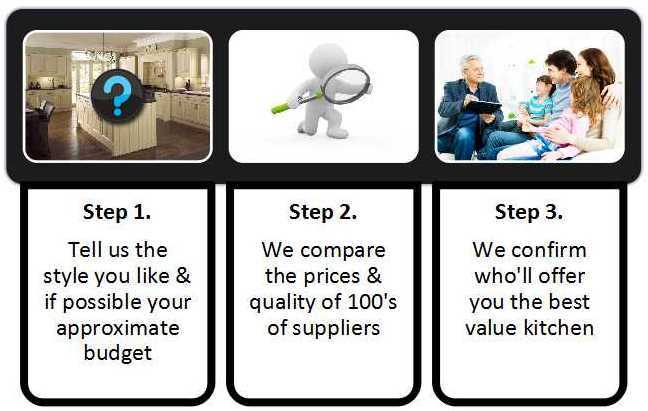 We’ll then compare the prices & quality of hundreds of ranges and kitchen showrooms for you. Finally, we’ll put you in touch with the best value showrooms, who can design, supply, and if required, install your new kitchen. Offering a vast collection of styles from established kitchen showrooms across the UK, all retailers offer FREE kitchen design quotes and have kitchen cupboards to suit all tastes & budgets. 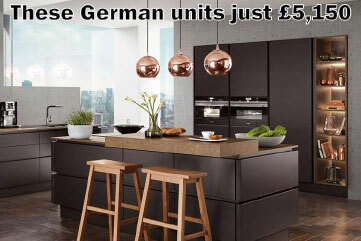 Whether you’re looking at budget kitchens, luxury kitchens or German kitchens, we’ll find you the best deal.